No to both. Be careful, there are lots of fakes swimming around. 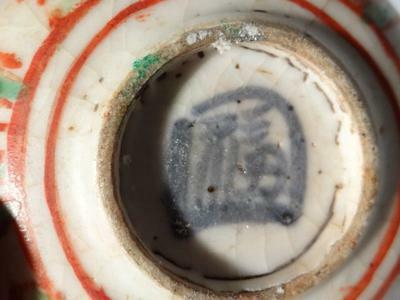 Do you know anything about old chinese glass beads ? Or determing age of brass censer ? This seems to be a Swatow bowl. The mark is "Fu", an auspicious character, mainly used in the Ming dynasty and in Japan until today. 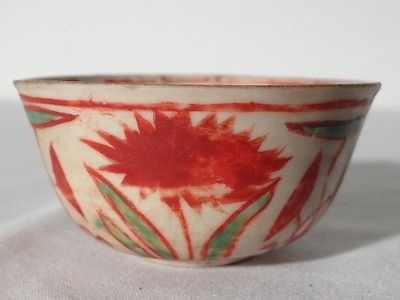 Obviously it is old, but not sure if it is of Chinese or Japanese origin. The Japanese did originally import these and then started making them too. They still make them today.